NEW YORK (Feb. 8, 2013) — Moses took a wrong turn leading the Israelites out of Egypt, the old joke goes, and instead the Jewish people ended up in the rare spot in the Middle East without oil. As Arthur Herman noted recently in the New York Post, it’s now known that Israel has about as much oil as Saudi Arabia. Well, sort of. On his way to blindly embracing the thought of Israel as the world’s next oil superpower, Herman ignored details that make all the difference. Anyone who knows anything about the Middle East knows that energy is not the most precious commodity — water is. Israelis and Palestinians together use 20 percent more water every year than is naturally replenished. It is widely thought that the next war in the region will not be over oil, but over water. And fracking for oil threatens to poison the region’s limited fresh-water supply, further escalating tensions and making new peace agreements between Israel and its neighbors harder to achieve, since such agreements will include division of water rights. Desalination is expensive, energy intensive, polluting and harmful to sea life. If you want peace in the Middle East, you need to protect the local water supply from fracking, short for hydraulic fracturing, a water-intensive process for fossil-fuel extraction that may contaminate groundwater with chemicals and the oil itself. And speaking of the oil — the quantities of oil may be similar in Israel and Saudi Arabia, but the type is different. Saudi Arabia has crude oil — that viscous type that you’ve seen in gushers in the movies. But Israel’s oil is shale oil — it’s basically oil-saturated shale rock. And you can’t put rocks in your gas tank. The only way to get the oil out of the rock is to heat it by hundreds and hundreds of degrees. Traditionally this is done by digging up the surface and setting the rocks on fire — scorching the Earth, literally. Now oil companies want to extract the oil by a combination of fracking and in-situ retorting — that is, heating the rocks while they are still under the ground. Fracking advocates say that this will lead to energy independence for Israel. But has anyone thought about where the energy will come from to heat the shale? Today Israel is powered by coal, the dirtiest of fossil fuels, that it imports from the world market. Even as Israel transitions to using more natural gas, it unfortunately is not about to kick its coal habit anytime soon. Because the rocks need to be heated first before the oil can be extracted, and even then the shale oil needs to be processed far more extensively than conventional crude oil, Israel will burn much more energy to extract the oil than the amount of energy in the oil. Fracking for oil is an energy net loss, and one that may make Israel more dependent on foreign fuel than it is today. There are many other ways that fracking is harmful — for example, fracking has been linked to greater instances of earthquakes in Arkansas and Texas, particularly important for Israel given that the country sits along both the Dead Sea Fault as well as the Carmel Fault — but perhaps the most damaging is that fracking is an investment in the past instead of the future. Referring specifically to both the Green Zionist Alliance and Jews Against Hydrofracking, a grassroots group that the GZA helped start, Herman said that "anti-frackers are running against the tide of technology." Again, in ignoring the details, Herman got it backwards. Burning fossil fuels is the old way of doing things. We "anti-frackers" embrace modern technology: clean, renewable energy technologies that generate energy without polluting our air, land and water. Israel, for example, is one of the best places in the world for solar power. Herman was right in pointing out that the oil shale is in Israel’s Elah Valley, where David fought Goliath, but he got the roles wrong. The fossil-fuel companies are Goliath. 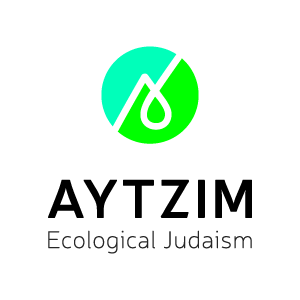 The Green Zionist Alliance and its allies in Israel — such as the Society for the Protection of Nature in Israel and the Citizens' Committee to Save Adullam — are working against Goliath to protect and safeguard Israel. If you love Israel — if you want clean air, land and water for its citizens, if you want to support energy independence in Israel, if you want to support peace in Israel — then join the fight against fracking. Goliath fell once before in the Elah Valley, and together we can fell him again.